Waterfall Info: This is the third waterfall (from the bottom) on Long Creek. It's also the 'official' waterfall on Long Creek, and thus, a lot of people don't know that this is only the upper falls and that two other waterfalls located a short distance downstream. 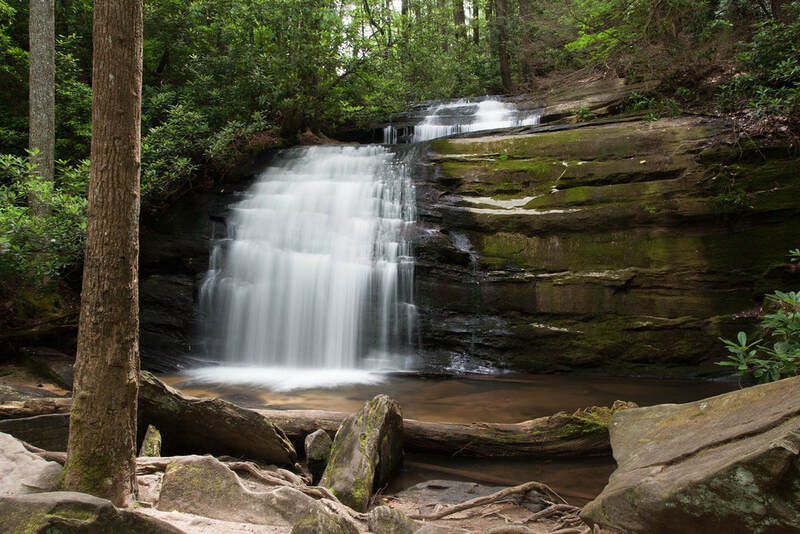 Access Info: An easy hike from FS 58 at Three Forks along the Appalachian Trail with a signed spur trail to the left at the end leads to Long Creek Falls.